3D printing is a very fast growing market, which for customers and the industry opens up new product and manufacturing approaches. New innovative approaches for the additive manufacturing of plastic components are developed by the Fraunhofer Institute for Machine Tools and Forming Technology (IWU) through an innovative approach with an extrusion based plasticizing unit for processing plastic standard granules in combination with a 5-axis Pentapod a parallel kinematic METROM machine tool. While existing procedural limitations are exceeded and created a new generation of 3D printing process with significant increased process speed. 3D printing of plastic components is currently done by a variety of methods such as laser sintering (SLS), melt strand drop (FDM, FLM) or Polyjet, Stereolithography (SL). Above all, the FDM / FLM process impresses with its simple and cost-effective process principle as well as the processing of selected standard materials. The plastic filament is passed through a hot melt nozzle via a feed unit plasticized and applied in layers on the build platform. 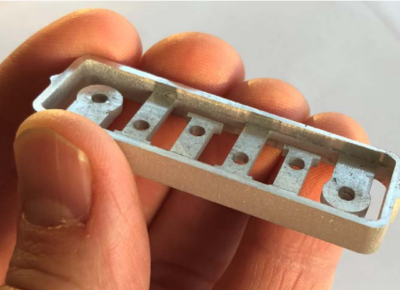 But higher process speeds are not achievable due to the low plastification performance of the Hot-Ends as well on the other hand, a relatively slow movement system of the print head. The Fraunhofer IWU 3D printing system has been developed in cooperation with the car manufacturer BMW which achieves an increase by a factor of 8 in combination with the process speed of a machine tool. The SEAM (Screw Extrusion Additive Manufacturing) method working on the basis of state of the art in plastics technology, extrusion screw and generates discharge rates, for example for a 1 mm nozzle up to 5 kg / h. In comparison, a filamentprocessing FLM process needs about 20hours for 1kg printed component mass. The plastic granules will pass through the modified single screw plasticized and are extruded by a 90 degrees oriented nozzle tool to a work platform in the machine (see Fig. 1). The movement of the building platform is realized in a first step via a Pentapod 5-axis parallel kinematics from Metrom (Fig. 2) , where process speeds up to 800 mm / s can be achieved. The Pentapod – movement system stands out above all by high dynamics, low moving masses and thus high positioning – and path accuracy and is ideal for motion control of the building platform. The newly developed SEAM method is processing standard granule instead of an expensive FLM filament to resilient plastic components. This results in comparison to the known FLM / FDM process up to a 200-times saving in material costs. 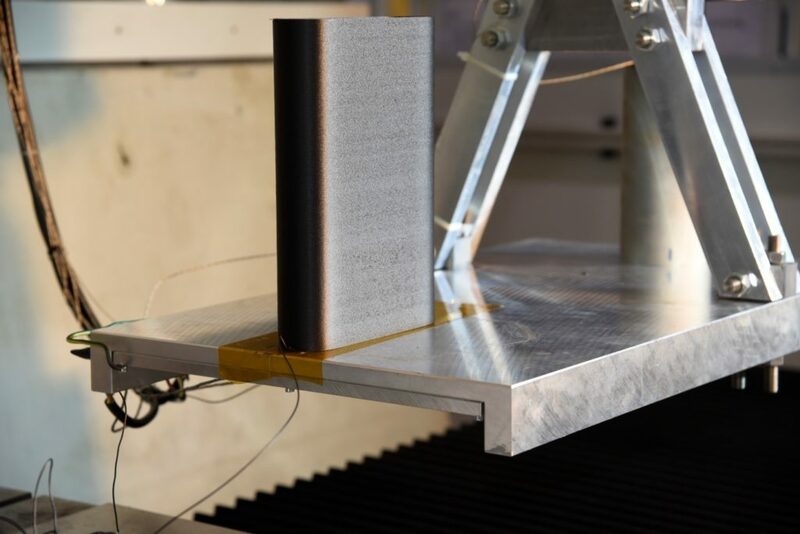 Initial trials were primarily done with a carbon-fiber-reinforced polyamide (PA 6 CF) that achieved about 80% of the level of properties in comparison to samples that are done by injection moulding. 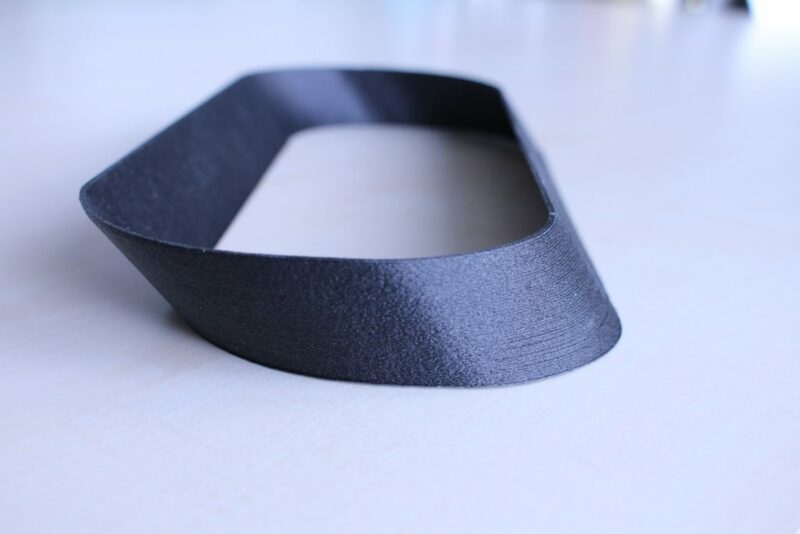 In addition, good results were achieved with other standard-plastics, such as polypropylene or thermoplastic elastomers (TPE) obtained for the production of elastic workpieces. Further investigations with other plastics and cooperation with material manufacturers are in preparation. 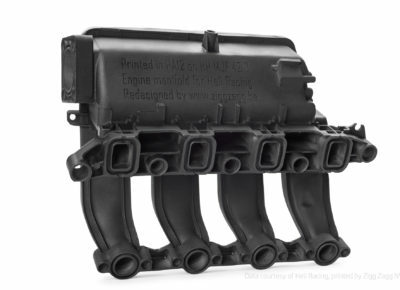 Classical workpieces done by plastic injection moulding are generally predefined to be executed by the process and by design as thin-walled structures. The SEAM-process allows generating according to the table speed and from the extrusion performance of the extruder different wall thicknesses on a printed track. This allows to miss-out the very time-consuming infill process of surfaces and a significantly increased processing speed can be achieved. Figures 3 and 4 show printed test specimens made of PA6 CF as well as overhang angles of up to 46 ° without the use of support structures. The production process was carried out under normal room conditions with temperature control of the construction platform or the discharge zone. The regulation of the output capacity depending on the process speed is required for controlled printing in curves and corners as well as in position jumps without material discharge. Due to the very sluggish plasticizing behavior of an extruder, a change in volume over the extruder speed is not possible. Therefore, an additional upstream unit has been developed that has a rate-dependent material output of 0-100 %. The currently in trial use existing unit allows for the control of classical FLM processes and the production of complex shaped structures. 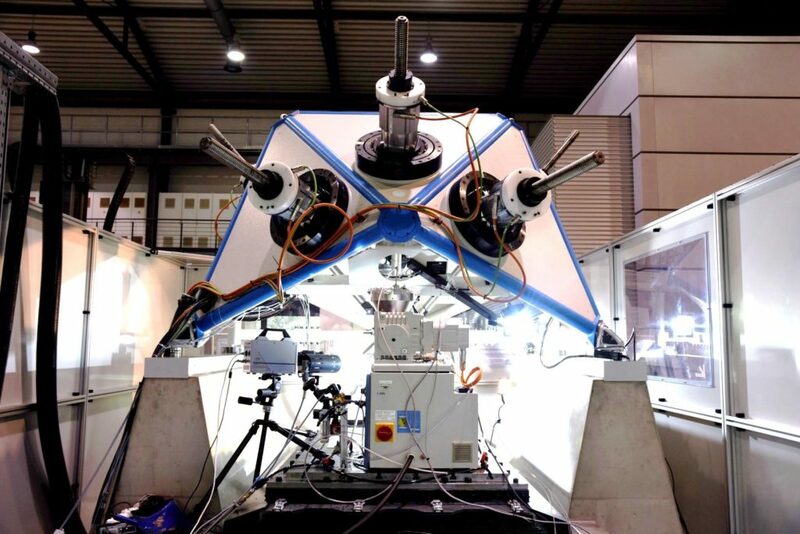 The newly developed SEAM process significantly expands the possibilities for the efficient production of plastic components in a 3D printing process and is suitable for the production of large structures. Initial developments have already been started with the Italian company CMS Industries for the production of large-format laminating molds and processing devices for the production of large-area fiber composite components. 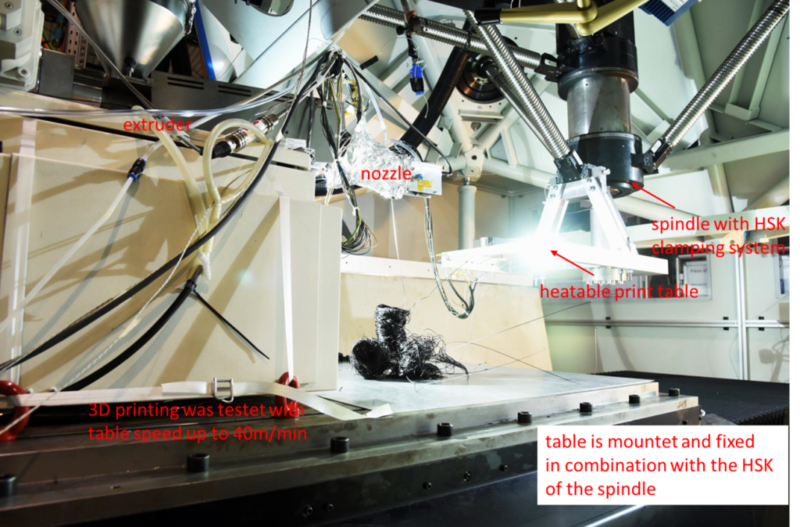 The SEAM process developed at the Fraunhofer IWU is of future importance for the further development of additive manufacturing technologies for industrial use and could represent a decisive step towards increasing the efficiency of 3D printing processes. Closer cooperation with the company METROM is part of a jointly research plan for 2018.